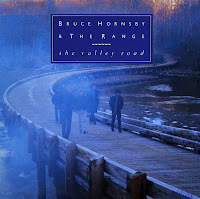 'Every little kiss' was released as the second single from Bruce Hornsby and the Range's 1986 album 'The way it is'. The single reached number14 in the US Billboard Hot 100 chart and number 32 in the Dutch Top 40, but didn't chart in the UK. The B-side of this single was produced by Huey Lewis, who had a successful career in pop himself in the first half of the Eighties. 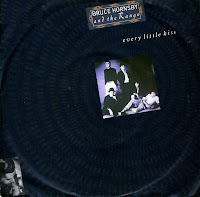 The single peaked at number 5 in the US Billboard Hot 100, number 27 in the Dutch Top 40 and number 44 in the UK singles chart. Such is the nature of beautiful music, that these days even people with not an inch of artisticity in their body recycle it to make their own filth. 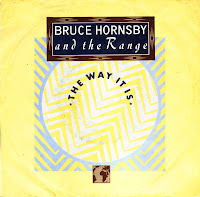 Bruce Hornsby's 'The way it is' fell victim to Tupac Shakur when he made the track 'Changes', which for reasons that are still a mystery to me became a worldwide hit. 'The way it is' itself is a thing of rare beauty. I've always been attracted to keyboard-based songs and the way the piano is used in this track is truly phenomenal. The lyric tends a bit towards the preachy side, but with a Christian Scientist upbringing, Hornsby probably couldn't help himself. The single was a number 1 hit the Netherlands and the USA. And in this case, that's not a mystery to me.